Kids have a great Time at IB Kiwanis/ Port of SD Fishing Derby. Show off Catches and Pose for Camera! The Kids and Parents who came to the Imperial Beach South Bay Kiwanis/ Port of San Diego Fishing Derby Proudly Show off Their Catches and Pose for Camera in this Photo Derby Display! Take a look through the Photo Gallery and enjoy kids having a great time! A big "Thank you" goes out to the Port of San Diego. Their contribution to the Event is greatly appreciated. 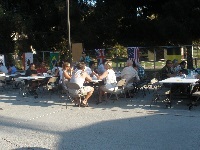 Their support of the Imperial Beach South Bay Kiwanis and the Kids Fishing Derby is greatly appreciated! 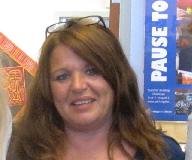 Also a “Shout Out” for making the event such a big success has to go out to Kiwanis IB Sha-Ron, the Event Manager and Organizer who spent so much of her time working on planning this event and getting it all to come together and run so well! I was told by Kiwanis Matt Pohl that in the old days they used to get a dozen kids and this year’s event had well over 100 kids. Great Job Sha-Ron! A big "THANK YOU" goes out to all people and organizations that donated time or prizes for the "Kids Fishing Derby"and a very special "Thank you" to Kiwanis IB Sha-Ron who spent countless hours working to make sure this event was a success. Big Apologies if I happeened to miss and business or individuals who donated gifts.I tried very hard to make sure no one was missed but for such a large event it happens sometimes. 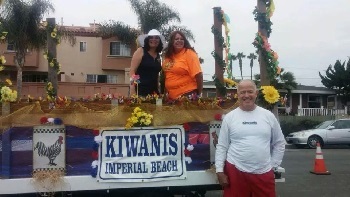 Here are some examples of how the Imperial Beach South Bay Kiwanis support our children and the children of the world. 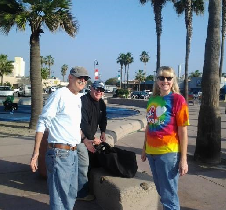 The group with the most activities helping to supporting others in Imperial Beach has to be the Kiwanis of Imperial Beach. Their focus is helping children locally in Imperial Beach, Rady Children's Hospital and children around the globe. You can always find them out there working to help others! Besides their own projects, you can find them teaming with other groups to help with their events. Their attitude is great and they always find a way to have fun in what they do! The Kiwanian "FREE Fishing Derby" is for children up to 16 years old. The Fishing Derby took place Saturday August 23rd at the Pier Plaza. The Kiwanis' turned so many kids’ faces into smiles during the Fishing Derby that it was worth going to see that alone! Besides getting to experience fishing, many for the first time, The Kiwanis' had so many prizes for them that every kid went home a winner and a prize! to party and socialize with friends. It had music from Ron Kelley’s Band, brats and beer. It helps them cover expenses for donations or projects they do. I can’t think of a better place to start talking more about what they’ve done to help than to start with the “2014 IB Kiwanis of the year”. That was awarded to Sha-Ron Cobb. I can't think of a more deserving person! Every time I have been at an event in IB, I have seen Sha-Ron doing something to help others out! If you have lived in Imperial Beach for any amount of time, you probably already know Sha-ron and the giving person she is! Her winning the award for 2014 is well deserved. 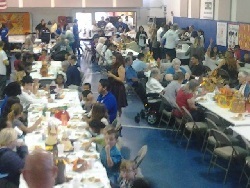 Their biggest and most involved effort had to be the 19th Annual “Feed the Kids and Families” event November 24th. The IB Kiwanis had 30 to 40 members who helped out. Their effort made it a big success. They fed around 500 children and their families. 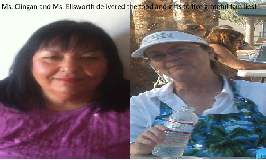 Some members helped with gathering food and supplies and other members helped in other ways. The event was held at the Boys and Girls Club of IB with them and other groups contributing greatly. But sometimes small things turn into a big deal as well! Many Kiwanians painted the exterior of an elderly ladies house and clearing her back yard of overgrown vegetation. A week before Christmas they “delivered Gift Basket to 5 families”. Melanie Ellsworth, Gary Brown, and Ruth Clingan went grocery shopping and loaded their carts with hams, potatoes, stuffing, apples, oranges, vegetables, spaghetti and sauce, beans, cookies and other goodies that became holiday meals for five families. They packaged the food with other gifts for parents and children that were donated by other Kiwanians such as blankets from Gary Trieschman, toys from Donn Hall, shower gels and lotions for the teenagers, and parents, coloring books for the little ones, donated by Ruth Clingan, and books for all of the children, young and older, donated by Dana Tomlinson. Ms. Ellsworth gave a heap of toys. Dana Tomlinson collected and labeled 3 to 5 books for each of the 15 children in the families that received the Christmas Baskets. The Kiwanis also had a booth at “Christmas comes to IB”. Kiwanis with help from the Key Club raised money to fund their various charity programs to help out the needy children of the world. They were out there for 5 or 6 hours selling hot dogs not including all the time it takes to get the equipment all set up and then put it back away. Another big effort of the IB Kiwanis is working with Schools. They have the “Student of the Month Award” that they give out. The Student of the Month is nominated by his or her teacher. The winner is chosen in recognition of his/her academic excellence, great effort, and willingness to work hard. As Student of the Month, they attend the next Kiwanis meeting with their family, teach and school principal were they receive an award certificate, have their picture taken with their family, teacher, principal and a member of the Kiwanis. They also receive $25 to go into a savings account for college. They donated around 40 books to the SBUSD Elementary to go in their Library for students to read or classes, signed in recognition of those speaking at their Meetings, and Students of the Month. Additionally, there were other times our club met up and prepared sandwiches for “Sports For Exceptional Athletes”, on at least 3 times and also participated in one of the track and field events along with MVHS Key Club in April 2014. Members of the IB Kiwanis club also helped Camp Surf by providing lunch with a BBQ lunch for Sports for exceptional Athletes. They donate money to support “Project Eliminate”. The Eliminate Project: Kiwanis eliminating maternal and neonatal tetanus (MNT) is a global campaign that will save and protect millions of mothers & babies.